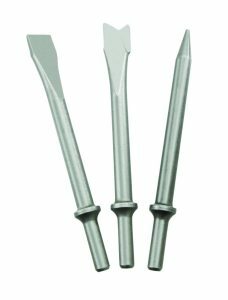 Air hammers, also known as “air chisels”, are the ultimate solution for at-home maintenance, construction work, and those that work in the shop or frequently with cars. 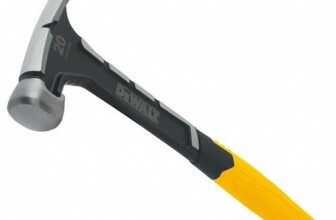 Air hammers are unique and desirable because they provide the user both the ability to preserve energy and effort, as well as protect themselves from unnecessary harm involving the physical strokes of using a regular hammer or holding any nails in place while using one. Similar with the new line of modern power tools like cordless ratchets and cordless screwdrivers, it’s a must have for any household. If you’re looking to take your house or car project to the next level, then an air hammer is the perfect solution, and worth the investment. It can be used not only on metals, but also wood, and for even cutting heavy or hard stones. From professionals to ‘do-it-yourselfers’ (DIY), there is likely to be the perfect air hammer product solution for you. Continue reading to find out the best air hammers, how they work and possibly learn something new along the way. From anything such as what BPM or blows per minute means, to the necessary PSI (pounds per square inch) for your next project, we’ve got you covered. These air hammer reviews are bound to help on your journey to finding the most practical, affordable, and model or design that’s just right for you. This is considered by us the best air hammer on the market! The Chicago Pneumatic CP717 Super Duty Air Hammer is a precision choice for getting the most powerful, reliable, and consistent performance out of any air hammer on the market. It is built to handle nearly any type of job and is great for having around the shop to use on vehicle parts, sheet metals, mufflers, heavy-duty exhaust tips, springs, and more. It will easily stand up to the job for nearly any construction project, home maintenance project, and can easily cut through tough wood as smooth as a knife through butter. Because the Chicago Pneumatic CP717 Super Duty Air Hammer is built to deliver up to 1,800 blows per minute, it maximizes both power and efficiency through air pressure and a heavy duty build. As you may notice with other competing air hammers they seem to have substantially higher blows per minute or BPM, but in this case, the higher or more blows per minute does not by any means dictate total power. You will undoubtedly discover this, and enjoy the benefits of its quality performance, durable build, and precision power making this the best air hammer on available. If you frequently work with automobile parts and repairs such as suspension components or axles that are tough to remove, the Ingersoll Rand 118MAXK air hammer is an excellent choice. This air hammer is very powerful, and thanks to both its design and special-build technology you can enjoy having minimal to no vibration. Also, for those that frequently work with hard lathe boards and other plaster or construction material the Ingersoll Rand 118MAXK air hammer is great for both cutting and hammering on these materials with both precision and safety. Customers, including everyday do-it-yourselfers for jobs around the house, mechanics, and even car dealerships will find this air hammer to be sufficient for most basic to moderate level impaling or cutting projects. The Ingersroll Rand 118MAXK air hammer is also great because in comparison to most air hammers it emits a lot less noise, so for those that work in a dealership or detail shop, or simply looking to attract less attention from the neighbors this is a great choice. This is definitely the best air hammer for the money and will provide you the necessary force for nearly any job you throw at it. 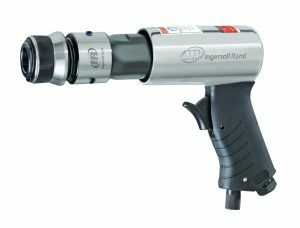 If you’re looking for the best air hammer on a budget and frequently do construction work or require a metal-cutting tool and hammer for vehicle repairs then the Ingersoll Rand Air Hammer 114GQC is a primal choice. 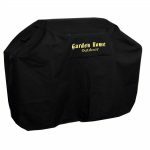 It is built durable and includes a quick-release tool holder which means changing out blades or hammering tips is a breeze. The Ingersoll Rand Air Hammer 114GQC is also excellent for cutting bricks, concrete blocks, and different types of tiles or flooring. Customers have reported being very pleased with this air hammer and it lasting for 5 years or more with regular lubricant oil application and little to no required maintenance. This means saving you money both in the short, and long run. So whether you’re using it in the shop or on a job this air hammer is sure to stand up against nearly anything you throw its way. It’s most practical for light to moderate metal cutting, and has no problem with other wooden, hardened or industrial-grade plastic, and as mentioned earlier tiles and bricks. It’s not often that you’ll find such an affordable, reputable, premium made and reliable air hammer like this, so it remains a top pick of ours – and the brand speaks for itself with decades of experience and other industrial-grade tools and products. Air hammers are a practical and efficient solution for various home-maintenance projects, automobile repairs, construction, and any other job involving parts removal (or cutting) and working with various industrial materials. Those that work on cars frequently, in a shop, or out on the road on an 18-wheeler will find air hammers to be perfect for removing upper and lower steering pins on their tractors, king pins, and any other stubborn bolts, rivets, or bearings. Air hammers are great for automobile repairs and projects because they pack enough force to bust brake rotors, remove, or even cut tie rod s, control arms, and more. For those that do a lot of at-home maintenance or construction, an air hammer is an excellent alternative to relying on the old by-hand method of a hammer and nails. So the days of relying on a sledge hammer, claw hammer, framing hammer or even “red” hammer can be put behind you, taking 1/5th the normal time required when using an air hammer. Whether you’re working with hard plaster, tiles, bricks, or even rocks most air hammers will be very effective at cutting, breaking away, or driving nails into the necessary materials. Anyone that does a lot of at-home work or construction knows how taxing on time, energy, and even resources using the old ‘hammer and nail’ technique can be, and air hammers were designed to get around just that. Air hammers are also great because they not only save you time, but help prevent unwanted cutting, hammering, or nails into expensive, industrial grade or even vehicle parts that could easily cost you an ‘arm and a leg’ – no pun intended! Speaking of limbs, using an air hammer also helps keep you safer, your fingers, and any other parts of your body and face from being dangerously close to a work project, nails, and hammering or cutting. If you’re in the market for the best air hammer (or “air chisel”) there are a few basics that are extremely helpful to know before making the investment. Air hammers are what you might consider a “super hammer” that operates off the force of an air compressor machine. Determining the right type of air hammer for you consists of several variables, following the key point of ensuring the “workload pressure” and air inlet sizes match up to the demands or regular use you intend to apply. Typically, air hammer products come with different use tips, with the 0.401-inch chisel shank being what’s considered the “universal” fit for changing heads whether you’re looking to use your air hammer for cutting or impaling. Just keep in mind, while this is the norm, a heavier duty or ‘maximum power’ air hammer will likely run more along the lines of a .498-Inch diameter chisel. 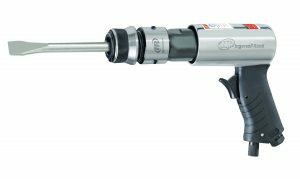 A good example of this would be the Chicago Pneumatic CP717 Super Duty Air Hammer – good for cutting away at nearly any industrial material and metal you can imagine while packing a super punch of 1,800 blows per minute. Which leads us to our next point. When shopping for an air hammer keep in mind when noting the BPM or “blows per minute” that this signifies how many times and rapidly an air hammer can produce blows within a minute – or “reciprocate” the head and force through its cylinder. Typically, you’ll find most air hammers to land somewhere between 2,100 to 3,600 BPM. However, those with significantly less – while much more powerful – can cost significantly more. Also, pay special attention to “stroke length” when shopping for an air hammer. This represents the space potential of each strike. Short strokes are best when used for faster impaling or cutting. A long stroke length air hammer on the other hand, should be appreciated for its striking power – over speed. If you are looking to do projects like ripping sheet metal and other considerably “light projects” then a short-stroke length air hammer is optimal. For anything else and “heavier projects” a long-stroke length is best. For many, an optimal stroke length is around 2-5/8” to about 3.0” for most projects. Look for a minimum hose diameter of approximately 3/8” or more to also maximize compatibility with an air compressor. Two more very important terms and features to know when shopping for the best air hammer are CFM (cubic feet per minute) and PSI (pounds per square inch). The PSI of an air hammer will dictate the volume of air produced to power the striking or cutting force behind each blow. The CFM represents the total air it uses at 90psi or per square inch. A minimum of 90psi is required to maximize the potential of any air hammer. Optimize your search and investment with your next air hammer by going with one that also has a “progressive trigger” technology which will both optimize power and precision, but also protect your safety and prevent accidentally damaging any work materials. Also, a substantial warranty plan, ideally a year or more, is the best direction to go with an air hammer in consideration of the amount you’ll likely invest. And as far as build goes, look for “unibody design” air hammers that are built from carbon steel to maximize both performance and longevity of use – many customers have reported each of these air hammers lasting anywhere between 5-7 years or more on average. A grip technology also optimizes performance, and your safety to prevent slipping or misfire (and cutting) when using your air hammer, so those which include this features are also very desirable and practical. Lastly, when choosing an air hammer carefully consider a short barrel or long barrel design, dependent upon the type of jobs you’ll be using it for, the space available or needed, and the power or speed you prefer. 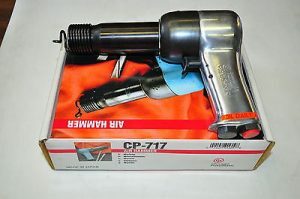 The Chicago Pneumatic CP717 Super Duty Air Hammer is an excellent air hammer to invest in, has a reputation of lasting ten years or more, and is frequently used and trusted by both auto professionals and shops. This air hammer is rated as the best air hammer available on the market because it’s designed to literally take on any task you throw at it with power, efficiency, and durability. Frequent customers of this air hammer also include tractor trailer drivers and mechanics, as well as those working on different types of farm equipment. It’s also very popular for construction because the bits are large (.498″) and are designed for industrial-level hammering and cutting. So whether you’re attempting to remove your truck springs bushings, or break apart car rotors you can trust you’ll be able to do so with ease, minimal to no vibration and discomfort, and will hold together well thanks to its premium build quality. One customer even reported having and using this air hammer under daily, regular excessive use and it’s still going strong after 17 years. 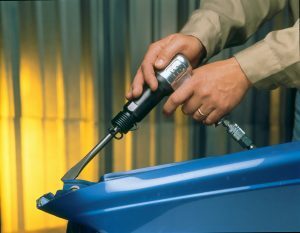 For those that live in the “rust belt” or places with cold climate or serious humidity this air hammer is especially useful, as removing stubborn, stuck, damaged, or rusted vehicle parts is made simple given its power and durability. Speaking of power, the Chicago Pneumatic CP717 Super Duty Air Hammer delivers up to 1,800 blows per minute (BPM) which means maximum power and precision for hammering away at the toughest of metals, wood, tiles, bricks, rocks, and more. The term “blows per minute (BPM) is represented by the number of times or cycles the piston inside your air hammer goes back and forth – also known as ‘reciprocation’ with a specific amount of power or force. This means, the lower BPM’s an air hammer has, the harder it will hit and the stronger the impact or cutting force will be. In conclusion, if you’re in the market for an air hammer that will remove tie rods, metal blandishment, or cut mufflers with ease then this is the optimal choice. Best of all, it’s easy to operate and use safely. There has been little to no negative feedback or concerns regarding this air hammer. However, one customer pointed out and illustrated for new users or air hammer beginners how powerful this air hammer seriously is, so “treat it like a firearm”. Also, the bits for this air hammer as mentioned above are unusually large, so it’s important to ensure you purchase the right size bits for extras or replacements once you invest your money in this product. For some, the vibrations can be uncomfortable if you’re just getting started with air hammers or haven’t had one before of comparable power. However, it has been built with a practical, relatively comfortable grip. Just make sure you fill it up with the necessary air (pressure) for working and take breaks in-between as needed. The Chicago Pneumatic CP717 Super Duty Air Hammer remains our top pick as the best air hammer because it does what it’s designed to do. 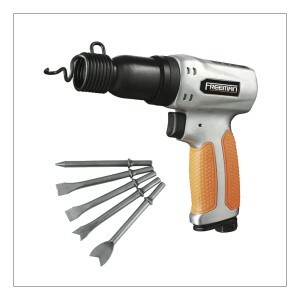 comes from a reputable manufacturer, and is comparable to other industrial-grade air hammers used by professional mechanics and construction workers that can easily run you into the thousands of dollars or more. If you’re looking for the best air hammer for the money then the Ingersoll Rand 118MAXK Long Barrel Air Hammer Kit is the perfect fit for you and comes from a very reputable and long-trusted manufacturer of air hammers and other industrial tools. For stubborn metal repair and removal jobs, this air hammer is the ultimate solution. It packs a powerful punch, and customers report that they have regularly worked on their trailers and truck parts with the Ingersoll Rand 118MAXK air hammer without fail. Sheet metal is cut with ease and will save you tremendous amounts of time, energy, and help you get ahead in your work or at-home construction projects. Those that often deal with industrial-grade boards and plaster, bricks, textile, or other common construction work obstacles will find this air hammer to be very effective for cutting and chipping away with precision, power, and comfort. It’s also easy to control, for both experienced and beginners, which is a huge plus. Technicians at dealerships and mechanics alike express consistency and efficiency when working on anything from hubs to rusted rotors, cutting bolt heads, axles, busted or rusted bolts, joints, control arms, and more. This air hammer is also safe to use because it utilizes a spool valve trigger response, providing very consistent and precise trigger use and reaction when drilling, impaling, or cutting. A spool valve technology is a major part of hydraulic machinery and power, and using this air hammer means the trigger will be responsive to a mechanical and electrically controlled cylinder which optimizes use and prevents accidents or injury. Overall, this air hammer is made very well, is ergonomic, doesn’t have any loose or easily breakable parts, and is also very quiet in comparison to many competing air hammers. The Ingersoll Rand 118MAXK Long Barrel Air Hammer Kit includes all the basics you’ll need for anything from bolt driving to shearing metals, and includes various bits to get you started whether you’ll be pummeling nails or cutting hard to reach and stubborn metal or automobile parts. While the Ingersoll Rand 118MAXK Long Barrel Air Hammer is great for hammering and cutting moderate grade and difficult metals and car parts, including rivets on a truck frame, in some cases more power or precision might be necessary. For the money, this air hammer definitely packs a punch. Just make sure you fill it up with the necessary air before use to ensure and maximize power. For some, the quick release can become loose over time if used or held improperly, so it’s important to familiarize yourself with how to properly use, and store your air hammer safely so it does not get damaged. Outside of another customer or two reporting a ‘sticky hammer’, or some complaining of just air blowing out of the hammer, keep in mind the proper maintenance in using lubrication as needed, and watch videos online or research helpful forums to learn the best position and usage for you and your project. The majority of customers are very happy with this air hammer and note that it easily compares to the power, performance, and durability of others that easily cost hundreds of dollars or more. Overall, for what you invest we’re confident that you’ll agree this is the best air hammer for the money, and with a solid reputation, warranty, and ability to handle tough jobs and save you time and energy this is a great pick. If you’re in the market for the best air hammer on a budget then the Ingersoll Rand Air Hammer 114GQC is a win-win. At less than a fraction of the cost of competing air hammers this device packs a 2,500 blows-per-minute (BPM) punch, is great for removing mortar from old tiles, concrete, sheet metal, and more. Customers report happy, consistent, and practical use using this air hammer daily, and with its 1-year warranty and 30-day money back guarantee it’s evident that this company takes pride in and stands behind its products. So whether you’re cutting ceramic tiles and thinset, or working on busting a CV axle loose, this air hammer is both powerful and precise. It’s also not unbearably loud, and is ready to use right out of the box. The Ingersoll Rand Air Hammer 114GQC also includes 3 attachments for convenience, which contributes to the kits overall value. This air hammer is also designed to cut through tougher jobs like 1″ concrete backboards, is not too rough on your hands or wrists through regular use, and is been reported by customers to have one of the smoothest feelings of any air hammer experience. Its quick release clutch provides precision, comfort, and you have the convenience of an air hammer that won’t make a ton of noise and turn your garage or outdoor car project into sounding like an active construction site – which also happens to be a popular place for use with this air hammer as well. 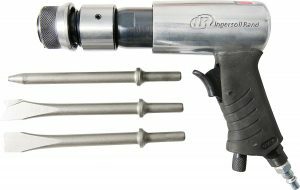 This air hammer hits hard, is great for removing auto-parts, and is the best air hammer on a budget because it exceeds customers’ expectations, is considerably powerful, offers precision, safety, convenience, and has a positive reputation for lasting years with regular use. Customers, especially working professionals but also do-it-yourselfers are excited and happy to return back to purchasing this air hammer for friends, loved ones, or just a spare because they’ve found themselves in many instances buying air hammers that are double or triple the price, and have failed, died, or broken in a months’ time or less. Some customers have complained that the bits included with the Ingersoll Rand Air Hammer 114GQC kit are not of the best quality, or a bit softer than desired. However, keep in mind that each person will be using his or her air hammer in different ways, on different projects, and both maintenance and safety should remain top concerns. Also, given its performance and very affordable price customers are happy and often purchase or already have their own bits ready – so this hasn’t been found to be much of a setback or “deal breaker” for customers. A few customers were not completely satisfied with the built-in rubber-grip, though this more so falls on preference and cosmetic built than performance – which is a good sign. Overall, given adjustable speed, smooth performance, and toughness, customers find this a great buy if on a budget, as well as those who are beginners in using an air hammer. Just remember, this is not advertised nor rated to be a “heavy-duty” air hammer, so if applied to heavy duty jobs it’s possible that it will not exert the necessary power or precision that you’re looking for, and you may wind up bending or breaking the bits. For both those that are experienced as well as beginners in using an air hammer it’s important to keep in mind the value of regular maintenance – such as oil or lubrication – and using your air hammer in a safe way. How you use, as well as store your air hammer is likely to dictate it’s performance, durability, and functionality over time – no matter how much or little you invest in your purchase. If you’re unsure about which brand to go with, try to make it a point to go with more experienced and well-known manufacturers of air hammers. This is important for several reasons, but a big one being the amount of foreign or imported “knock offs” or imitations which are made cheaply or use cheap parts yet charge similar prices as premium-made products. Understanding or learning the various terms associated with using an air hammer can be critical, as illustrated above, such as BPM (blows per minute), PSI (pounds per square inch), and CFM (cubic feet per minute). Each of these play vital roles in determining how your air hammer will function, and what types of jobs or materials it will be most effective on or was originally designed for. 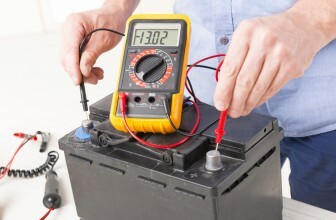 If in doubt, always keep in mind the value of researching online proper use, how to use an air compressor and hammer gun, and what to do to maximize both performance and your safety. Conclusion: So what’s the best air hammer for me? Shopping around for the best air hammer should be an enjoyable, and rewarding experience. Whether you’re a “do-it-yourselfer”, a professional mechanic, construction worker, or one of the hundreds of other professional types that could benefit from an air-pressured “automatic” hammer system this is absolutely a worthwhile investment. For someone on a budget, or just looking to try out an air hammer to see if it’s right for them, the Ingersoll Rand Air Hammer 114GQC is a great place to start. 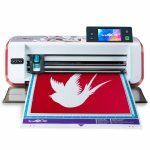 It has all the qualities, build, and necessary parts to get you started right out of the box, and has a very positive reputation and feedback from a multitude of happy, and even repeat customers. 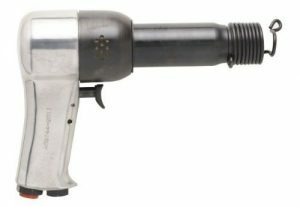 As for homeowners, professionals, or experienced users of tools like this that are willing to invest in an air hammer that will last 10 to 15 years or more to come, and perform the same as it did when it first came out of the box with precision and power, the Chicago Pneumatic CP717 Super Duty Air Hammer is the air hammer for you. And lastly, for anyone looking to get the most ‘bang for your buck’ from purchasing and air hammer (who isn’t? 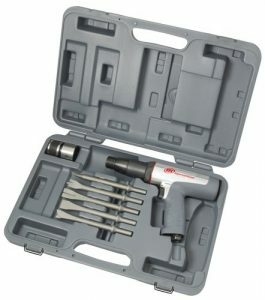 ), the Ingersoll Rand 118MAXK Air Hammer Kit known as an “IR” air hammer, given its solid reputation and trusted feedback among thousands or more of professionals alike, this is definitely the optimal choice in today’s market. We have based each of these air hammer reviews on concrete research, evidence, and genuine customer feedback on making this process easier for you, no matter your level of experience, professional knowledge, or purpose of purchase, and hope you find the air hammer that meets all your job demands for years to come.